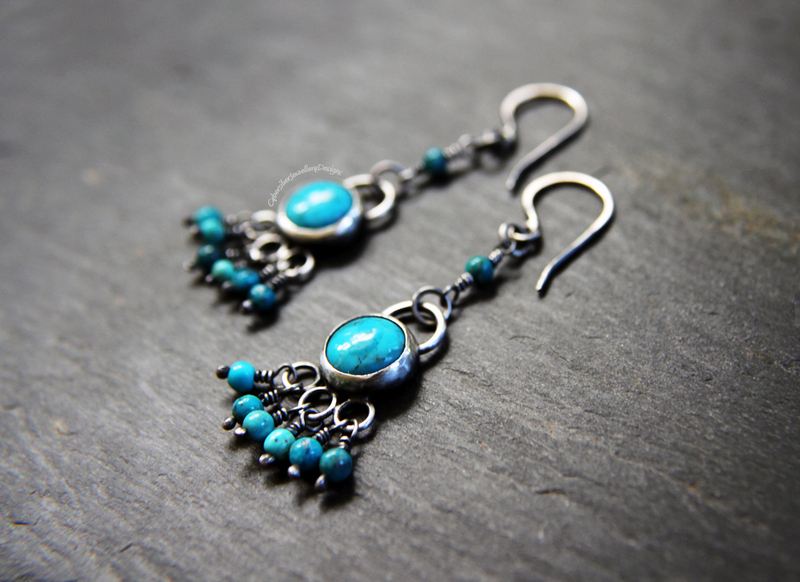 Beautiful genuine turquoise and solid silver earrings which have a lovely movement to them. 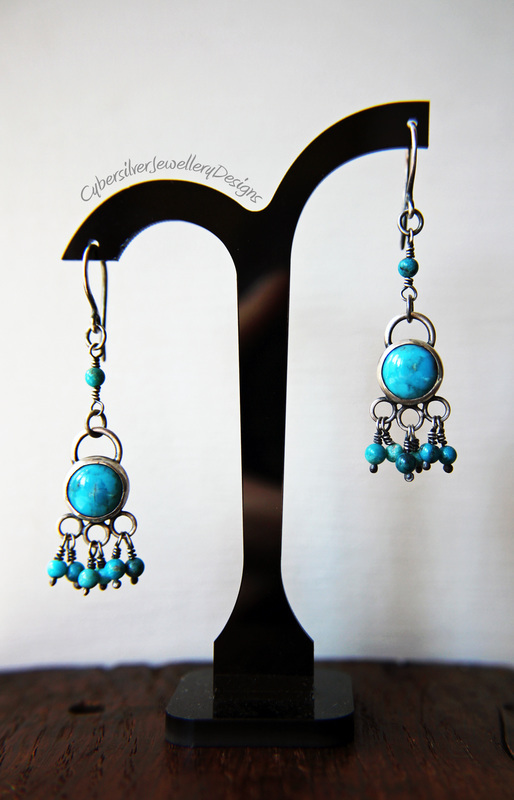 These earrings are entirely handmade by me - from the ear hooks to the bead wires. 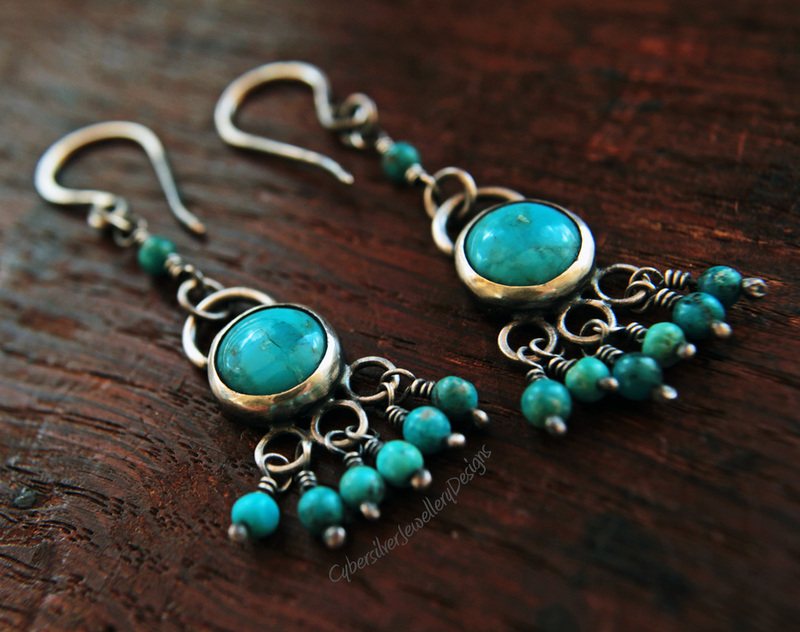 Each genuine turquoise gemstone is set in a solid silver surround and is attached to the ear hook by a hand wrapped genuine turquoise bead. 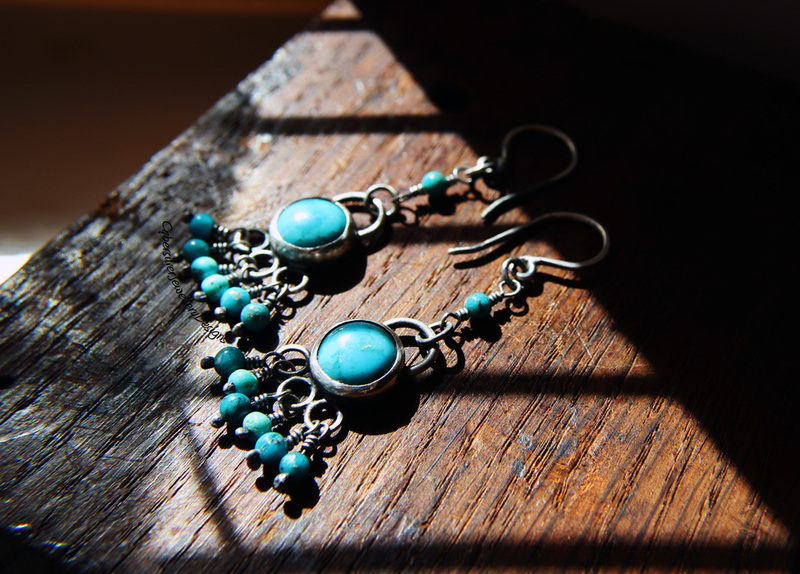 Six genuine turquoise beads hang from each gemstone which give the earrings a real boho feel. The silver has been lightly oxidised, highlighted and sealed with a microcrystalline wax to help protect the oxidised surface. As with every piece I make, all jump rings are soldered closed to prevent any piece coming apart and getting lost. Dispatched within 1 - 3 working days. Come gift boxed. I send UK special delivery to ensure you receive your earrings safely and promptly. This includes next day delivery, tracking and insurance. Royal Mail will not insure jewellery sent any other way. I will message you your tracking number as soon as your earrings are posted.